These days, parties for every occasion — weddings, bar mitzvahs, Sweet-16, and even regular old birthdays — are held in marquees and outdoor tents. There are huge advantages to this kind of venue; you can adapt it to suit varying numbers of people, fill it with whatever furniture and décor you want or need, and even turn a useless piece of land into a useful bit of extra space for a house or family gathering. 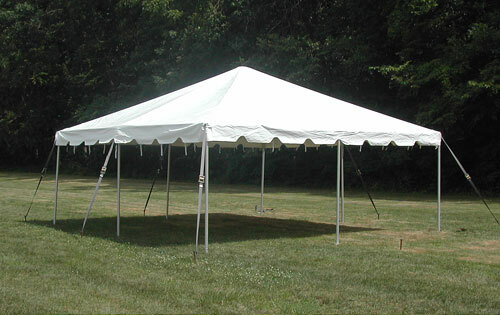 While there are a number of companies which rent out marquees for such events, if you have a large family — and are lucky enough to have a large garden — then it is worth investing in a party tent, even a small one, so that you can help out your relatives, friends, and neighbors when they want to host their own party. Some of these party tents can be pretty simple and fairly inexpensive. They consist of just a few poles supporting a canvas or plastic roof. As some of these tents don’t have sides to them, they are better used for daytime events in areas where you are guaranteed goo d weather. But they do provide much needed shade for such occasions and can be a handy place to store the food and drinks. Canopy Mart sells several of these simple party tents, such as the Celina, which comes in a variety of sizes (the photo you see here is the 10 x 10 foot Celina, with galvanized poles – click the photo to go to the product page). Of course they have a number of others as well. There are party tents which have vinyl walls as well as a roof. These walls can be rolled up out of the way and secured at the roof if they are not needed, but they can provide some helpful shelter from wind and rain if the weather is not as nice as you were hoping. Many of these, including the Mystique 20 ft by 40 ft High Peak tent have clear “windows” which allow in the light when the walls are rolled down as well as being available in different colors to add to the party spirit. 20ft X 20ft EUREKA CAPRI PARTY TENT These simple party tents are still more suited to small family and neighborhood gatherings whereas Canopy Mart also sells a range of larger tents, either for those who want to start their own party business or who have a number of big family parties coming up and want to save some money on the rental costs. The Eureka Capri party tent is a particularly innovative and unusual marquee which is star-shaped with a number of peaks. As well as looking good, this model can also shelter lots of people and is available from the Canopy Mart in a variety of sizes. If you are planning on launching your own party rental business offering a one-stop shop for events and functions, then a marquee is an essential part of such a venture. You can get great value tents from Canopy Mart in sizes up to the enormous 100 ft by 310 ft Premier Party Tent — large enough for any commercial function or a wedding. Such tents don’t come cheap but when you consider how much your business could make by renting such a venue out per weekend, it won’t be long before you can make your money back. Of course, buying a marquee or party tent is only a small part of creating a luxurious and comfortable venue for your special occasion. Luckily, Canopy Mart also stocks a selection of party furniture and essential accessories to make sure your event is a success and that it goes off without a hitch. You can buy chairs and tables in both metal and wood. These are all foldable, which makes transport and storage much easier, and Canopy Mart also sells wheeled carts to help you and your assistants transport both the tents themselves and the party furniture around more easily. If your party is taking place after dark or if the event is likely to run on past sunset, you will need a way of keeping your party tent lit so that people can carry on enjoying themselves late into the night. You can choose from flood lights — great for illuminating certain locations throughout the tent — or chandeliers, which can create a more subdued atmosphere for sophisticated dinners or cocktail parties. They really do have events covered! Canopy Mart even sells lampposts which can be installed at the entrance to your tent to make a statement as guests arrive. The website also stocks light bulbs which are suitable for outdoor use; a consideration in the event that you have rain as ordinary light bulbs may not be safe in such an eventuality. 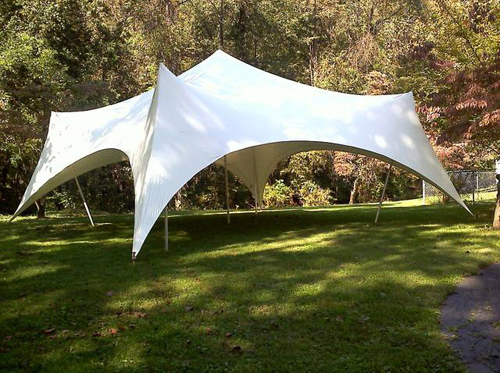 Whatever your plans, whether you are organizing a small family function in your back yard, hosting a larger celebration like a wedding, or whether you are thinking of starting a business hiring out marquees, party tents and all the fixtures and fittings needed to create a great party venue in an outdoor environment, Canopy Mart has everything you could possibly need. They stock a range of sizes, styles and have canopies and tents to suit all budgets. While their bigger function tents can be expensive, if you are planning to rent them out, you can soon make back your investment. After all, parties are big business these days and people are always getting married or celebrating special occasions. Occasionally, Canopy Mart offers deep discounts and coupon codes to help you save even more. When we are given new promotions and discount codes, you will see them in our Canopy Mart Coupon Codes section here. And, they are not limited to outdoor gazebos, even though that is the product line we were concentrating on in this particular Canopy Mart review feature! They also have a variety of different portable backyard shelters, gazebos, sheds, and even garage structures!